MediaMath is a leading independent programmatic company for marketers. Mediamath‘s technology and services enable marketers to reach the audiences they want at the scale they need to achieve the outcomes they desire. 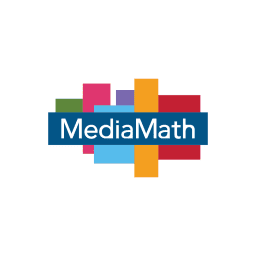 Since 2007, when Mediamath created the first software for real-time media buying, their global infrastructure, vast partner network and quantitative approach have delivered transformative results – truly strength in numbers. Urban Remedy opened its first retail location in 2013 in San Rafael California with “food is healing” as its ethos. The company’s juice cleanses, nut milks, prepared meals and snacks are perfect for people who want the best for their bodies and to feel better after eating. The company’s products can be purchased online, at its retail locations or at fine grocers including Whole Foods located throughout California. Founded in 2015 by a husband and wife team Megan and Lee Mokri, Byte provides healthy food and beverage options to office environments. Byte places smart refrigerators inside offices buildings, universities and hospitals and stocks those units with high quality, fresh and on demand food. Byte has deployed over 250 fridges and is expanding. Fountain Partners is proud to support Byte in its service to leading edge employers such as Amazon, Tesla, Cisco, and the University of California. Incorporated in 2006 and headquartered in Connecticut, SurgiQuest set it sights on developing a radically different laparoscopic trocar design that eliminated the circular seals and duckbill valves that had plagued conventional trocars since the early 1990’s. InstaMed simplifies every healthcare clearinghouse and payment transaction for providers and payers, and allows patients to make secure payments simply and conveniently. InstaMed’s single, integrated network simplifies the healthcare payments process for 1,500+ hospitals, 70,000+ practices/clinics and 100+ billing services; connects to 3,000+ payers; and integrates with 60+ practice management systems. Rhythm Superfoods uses superfood ingredients to deliver snacks packed with pure, delicious awesomeness — antioxidants, vitamins, minerals, protein, and fiber — in every bite. Deep Eddy Vodka was founded by Clayton Christopher and Chad Auler in 2010. Fountain Partners was introduced early on and provided an equipment lease line of credit to help grow the company’s production from under 20,000 cases to over 200,000. Management did an exceptional job executing and was producing 500,000 cases a year by the time the company sold to Heaven Hill Brands in 2015. Apttus was formed to deliver the promise of enterprise class application capability, but very rapidly and with high value. Apttus has combined business domain expertise with the Salesforce1 and provides modules with rich functionality. Apttus’ goal is to provide organizations with an alternative and significantly better way to automate business functions in a way that maps more closely to the needs of organizations. Futuris Automotive designs and manufactures automotive interior solutions. Through a growing international network of design and manufacturing facilities across China, Asia-Pacific and North America, Futuris creates interior solutions providing quality, value and innovation. Futuris products are renowned amongst the best in the world. Futuris partnered with Fountain to supply seats for Tesla’s Model S and Model X.
DigitalOcean, Inc. is a cloud hosting provider based in New York City and loved by developers worldwide. The company supports its clients from data centers in New York, Amsterdam, San Francisco, Toronto, London, Singapore and Frankfurt. IA Ventures and Andreesen Horowitz have provided the initial and follow on equity for the company. Quidsi operated sites like Diapers.com, Soap.com and others to commercialize large scale e-commerce verticals. Quidsi and VC backers Bessemer, Accel and NEA chose Fountain Partners to help finance the deployments of Kiva warehouse robots. Amazon acquired Quidsi and eventually Kiva (now Amazon Robotics). The Quidsi founders went on to later create Jet.com which was recently acquired by WalMart. Fountain continues to partner with companies innovating in warehouse automation. Ideal Image is an international company based in the U.S. dedicated to laser hair removal, Botox & fillers, laser tattoo removal, and Ultherapy skin lifting. They are an industry leader in laser hair removal and have performed over 5 million laser hair removal treatments nationwide. With +120 laser center locations in the U.S.A and Canada, their success is attributed to a shared passion for changing people’s lives forever! Accolade helps individuals and their families get the right care by giving them access to their own Accolade Health Assistant® – a single point of contact for any health benefit or healthcare need. SoftLayer began provisioning dedicated servers in late 2005. Fountain Partners opened for business in February 2006 and was introduced to SoftLayer the same month and immediately became Fountain’s first client. SoftLayer continued to grow by levering equipment leasing until the company was acquired by IBM for $2 billion in 2013.